In reality though, I know this is total nonsense. The only Kingdom Hearts game I actually ever played as Kingdom Hearts II, never having touched the first one or Chain of Memories before it. Yet I still managed to love that game at the time without any issue. I’d imagine the situation would be the same if I were to grab a copy of 3 tomorrow throw it on. It’s the deep seeded compilation that exists amongst some narrative driven gamers, like myself, that makes us want to go back and play these games from the begging. Falling into the web that online game’s media have been weaving these past few years. As with any game that has a number, roman numeral or decimal point after it, there is always some itch that sparks in our minds, the need to know what we might be missing out on if we jump in at this later stage. With many other franchises, this is usually a problem, pretty easily solved. No small part of the reason Kingdom Hearts has such a reputation for a difficult to understand story, is that every game in the franchise has contributed towards the overall plot, almost all of which have made a single appearance on a unique platform before jumping somewhere else. Before this new one, there were eight games in the franchise, appearing on six different platforms, including the PlayStation 2, Game Boy Advance, Nintendo DS, Nintendo 3DS, iOS and an online browser game. If you were trying to keep up with these games as they came out, you needed five different platforms, as well as a smart phone. Which tells me the mostly likely outcome was that most people didn’t actually play all of these games as they came out. Luckily, if we did need to experience this entire story, going back now to catch up is a far less daunting task. At least in terms of access to the games. In fact, Square were making their games easier to access pretty early. The first GBA game; Chain of Memories got ported to the PS2 only a few years later. Not even getting into the numerous collections that would bubble up as time went on, including the hilariously titled “Kingdom Hearts HD 2.8 Final Chapter” and then the collection for the PS4 that acts as a collection pack for all of the previous collection packs. It’s… Exhausting to say the least. It’s no wonder the series has the reputation it does, despite the fact that, in reality, all you need to catch up today is a PlayStation 4 and a lot of time. I was the perfect age for Kingdom Hearts when I played KHII. At the time, the premise of the game seemed especially unique. Mixing Disney characters with Final Fantasy characters, it felt like something that had to be experienced first hand. Especially considering the level of quality that went into the various Disney worlds, including the art design and voice work of their indigenous characters. The premise is still actually impressive today in some regards, considering Disney’s continued swelling in their scale as a company and their resulting aversion to allowing other companies control of their character without a level of oversight that just drives those kind of partnerships away. 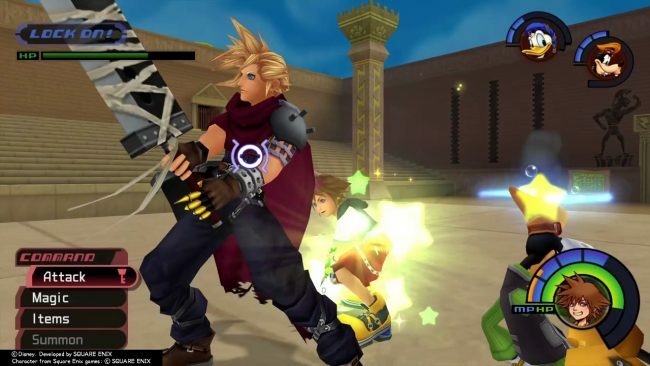 Kingdom Hearts eventually became a victim of their own success, by its very nature, the novel concept that made it to popular to begin with inspired developers to make similar choices. And because this game took 13 years to come out, the industry itself as grown around it. Developers who loved this game while young have since grown up, got a job and released a game in the time between this and the first game. Weird, ambitious crossovers in video games are just more commonplace than they were in the PS2 era. Square themselves see this to a certain extent, which is why Kingdom Hearts III leans to much more into the Disney properties. As much as I heard about Frozen and Monster’s Inc. I can’t think of a single classic Final Fantasy character mentioned during any conversation about this game. Which makes me think Square simply might not hold any stock in their own historical work. Square Enix have a long an storied catalogue of video games, a significant number of people hold in very high regard. Yet, the company themselves don’t seem to make any use of it. Forgive my misinformed snap judgement, but they seem like a company with their head in the clouds. they have pretty outlandish expectation regarding their own current properties, considering they don’t seem to be throwing their whole weight behind projects. They went and cut IO Interactive loose and let them keep full rights to the Hitman franchise. Which is great for that studio and the fans of their games, don’t get me wrong. But for them to let go of a developer who had just released the most widely applauded game in their long franchise… it’s bizarre. Just because it wasn’t making Rockstar money? It’s a similar case with their reboot of the Tomb Raider franchise, a series that has also been much loved by the community for being a breath of fresh air. And Square have had very little positive to say about it. “It didn’t meet our financial expectations”. Their series’ closer to home paint an even bleaker picture. Considering how long it was in the making, Final Fantasy XV hardly set the world on fire, to the point that Square seemingly gave up on it and cancelled producing their already announced DLC for it. And God only knows if that Final Fantasy VII remake is going to happen, and what form it’ll even take at this point. It seems like Square are constantly reaching and grasping for something that out is always going to be out of their reach. 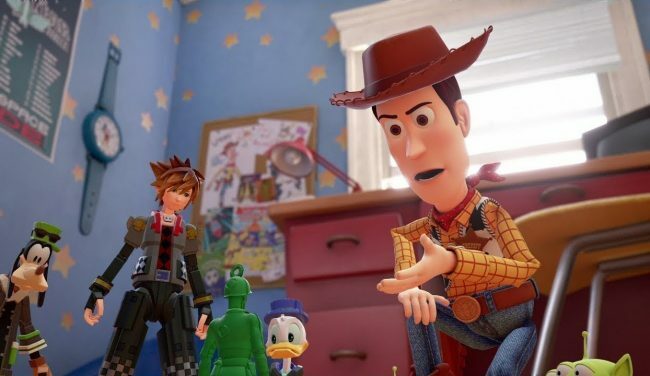 Honestly, Kingdom Hearts is the only good thing they have going for them, but as I’ve spent this entire post painstakingly explaining, they don’t make it easy to consume it either. But let’s be honest; they’re on a Disney drip, that’s what’s keeping them going here. 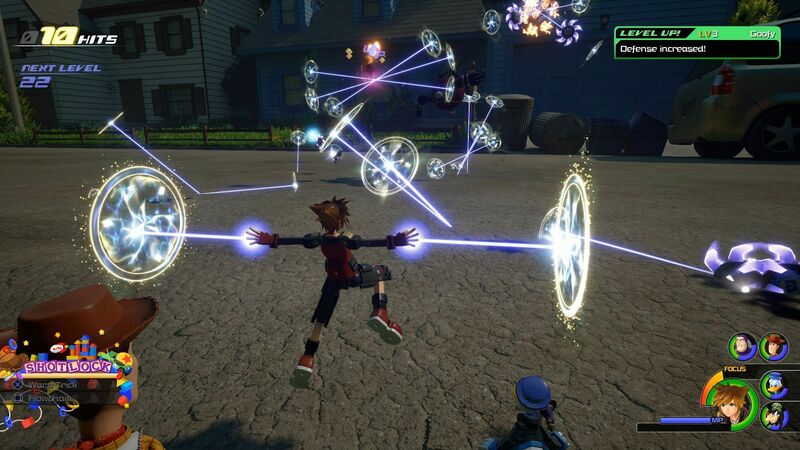 Upon hearing everyone excitedly talk about Kingdom Hearts III, I’ll admit that I am kind of curious. Not because of the game itself, nor for the game play, just for the sections of the game that take place in painstakingly recreated Disney worlds. 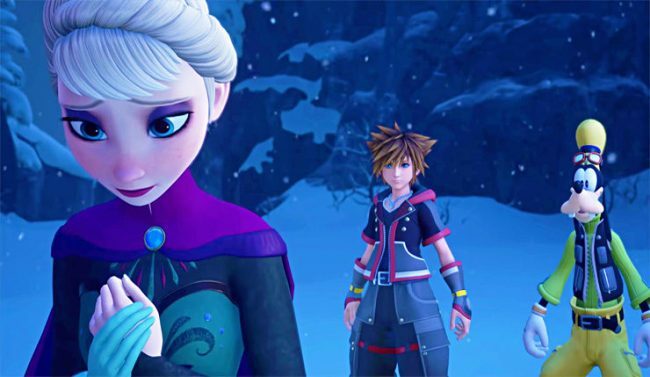 Despite the harrowing narrative the internet has been weaving regarding the convoluted plot for the Kingdom Hearts Franchise, for the vast majority of people playing this game, you could just slice the Tangled and Big Hero 6 sections and give them to play in a vacuum, they’d probably have a completely undiminished experience. I think Kingdom Hearts is a perfectly serviceable game, completely irrelevant of its overacting story. Even the people who enjoy the franchise at an intimate level regard the utter irrelevance of the story with some degree of playful banter. It ultimately doesn’t matter. Although Square aren’t going to correct you, if it means you’ll go out and buy “Kingdom Hearts HD 1.5 and 2.5 Remix” before you pick up III. I don’t mean to besmirch the franchise, I do appreciate it from a distance. And I love that people who hardly play video games are getting excited for this one. But if Square plan on making another one of these, it needs to come out a hell of a lot sooner and not in 2032. 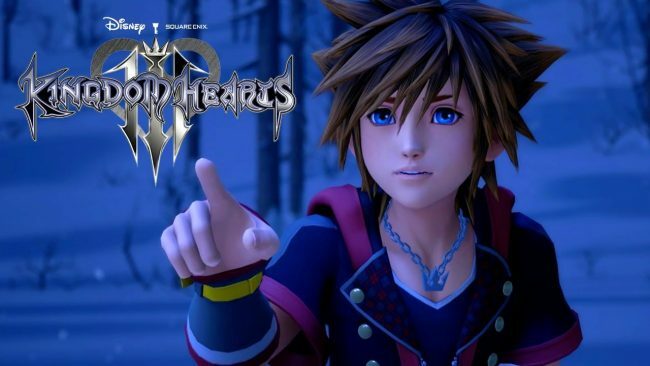 Posted on February 4, 2019 by WooderonPosted in Features and/or Ranting:, Video GamesTagged buzz lightyear, disney, donald duck, final fantasy, frozen, kingdom hearts III, monsters inc, sora, square enix, toy story.